Mum and Dad sometimes call me PUMPKIN and today I saw mountains of what they call pumpkin… Do I really look like these big blobs of orange??? Anyway, these ‘pumpkins’ also come in colors like green, beige, yellow… but all look rather unspectacular. Mum even wanted to feed me some for lunch! Whatever, Mum and Dad had a fun day at Jucker Farmart where they have a whole exhibition of Pumpkin – which of course is ME! PS Dad even gave up learning German today to see MY exhibition… oops! 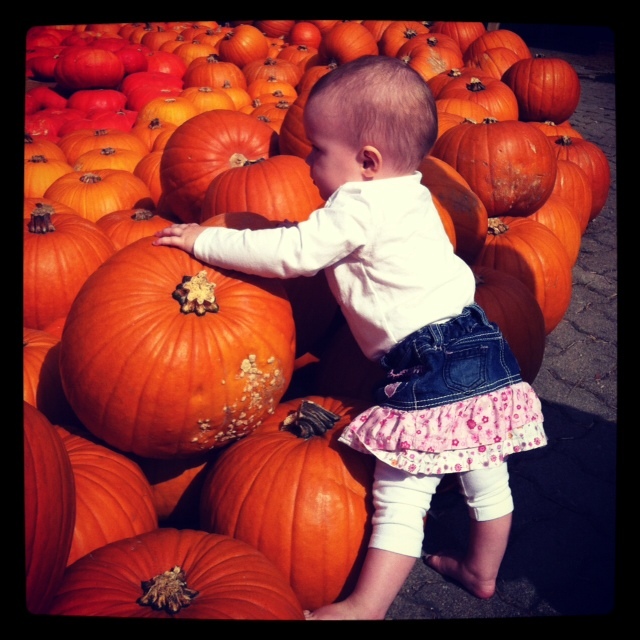 This entry was posted in adventure, mum and dad and tagged jucker farmart, pumpkin, pumpkin party. Bookmark the permalink.